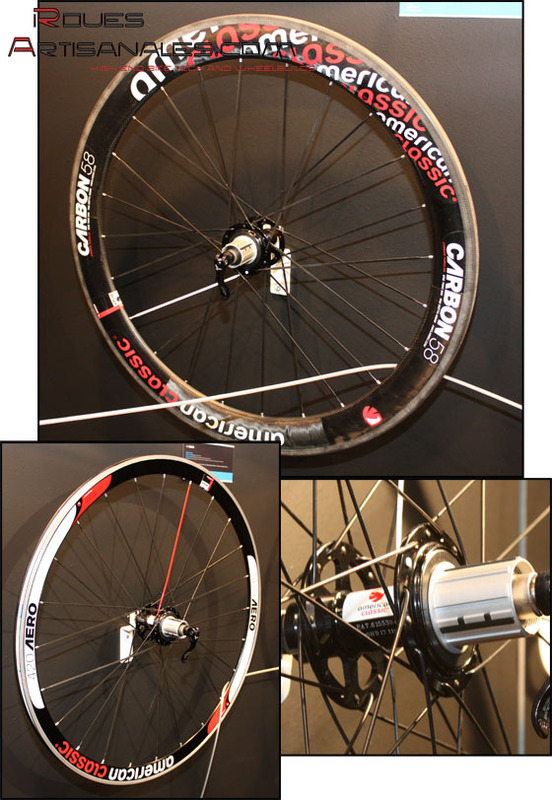 The french company, making the newest full carbon monocoque wheels equips the belgian brand of the legendary champion Yohan Museeuw. Some of the specifications: 3K carbon fibre, paired spoking, asymetric rear rim, curved rims, oversized full carbon hubs, excellent finish. The american manufacturer improves the rotor of all its hubs, they receive an extra riveted part on 4 splines to block the cassette perfectly in place. More than all, what changes at AmC this year are the new designs: a coloured spoke is used on each wheel to find the valve hole quicker, and new decals are featured. Finally, the Magnesium rims won’t be available before a few months because of the difficulties the sub-contractors meets to get the raw material. 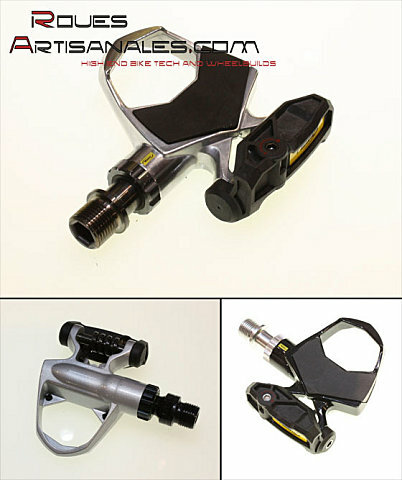 Beside the CCSLR, the new R-SYS premium, and a full range of comptuter, clothes, and a few more upgrades, Mavic releases new pedals based on a delta style cleat. 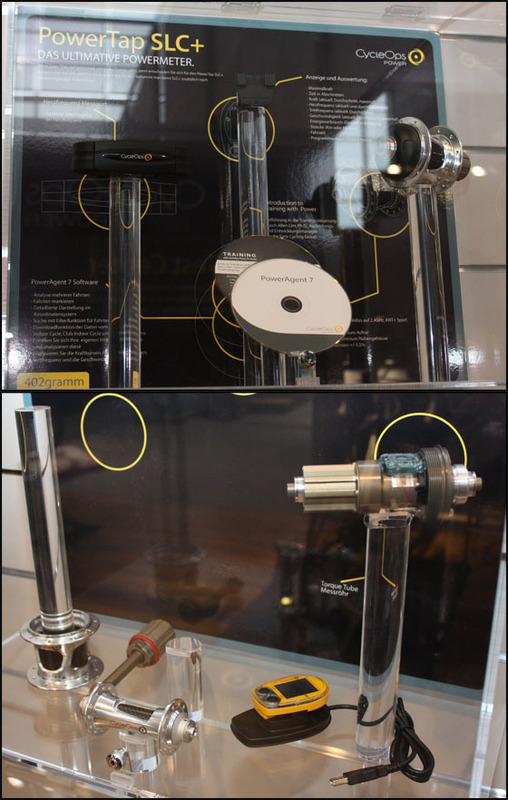 Three models are unveiled with titanium and steel axles. 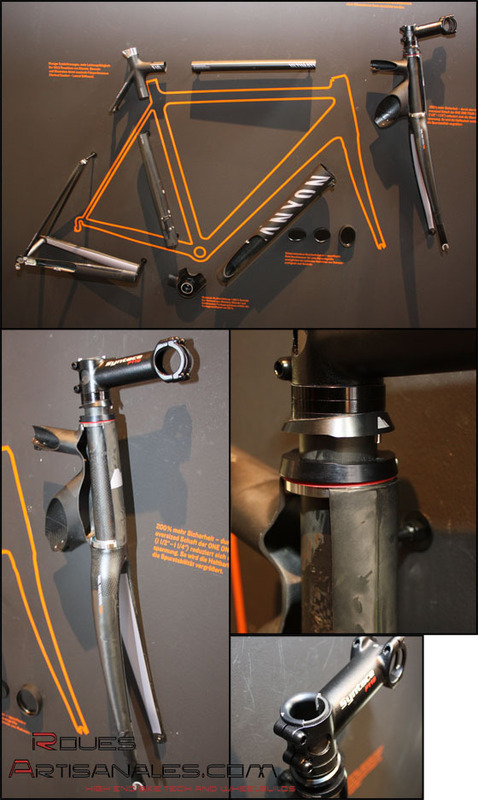 The Race SL Ti features a titanium axle, carbon reinforced plates, a large cleat/pedal contact. 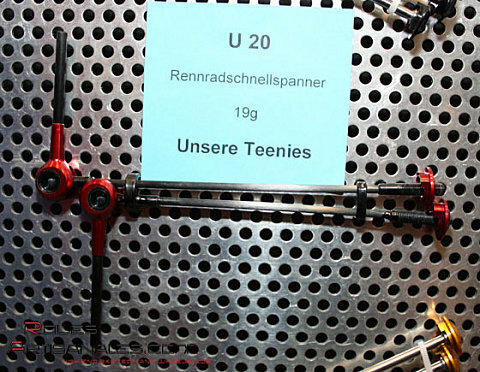 it weights 110g per pedal. 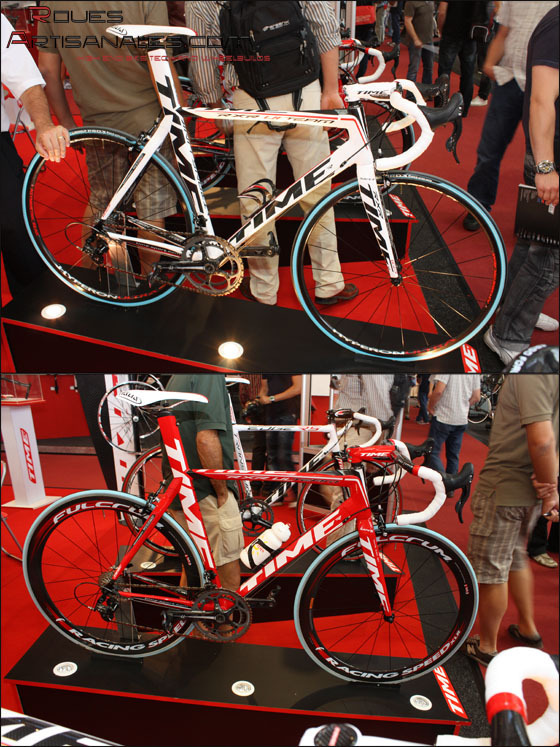 The Race is a bit heavier with 130g per pedal, it comes with standard steel axle and composite plate. The Avenir is a step heavier and cheaper too, 145g per pedal. The cleats are coming in two versions: 0° of float, and 7°. Powertaps Cosmic Carbone’s are available too. They are quite heavy, the spoking is regular, and is crossed with no contact. 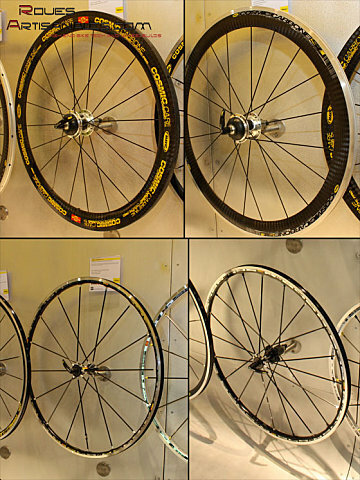 Two versions are offered for clincher and tubulars. Saris releases a newer version of the SL powertap. It is upgraded with ceramic bearings and is named Powertap SLC. 10g are saved on this rear hub. 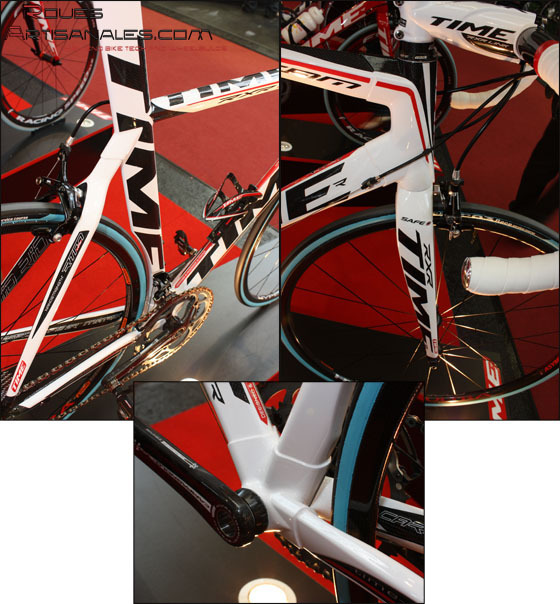 Although we already revealed the RXR Ulteam two days ago, we couldn’t resist taking some more shots of this amazing bike. single detail is pushed one step further. Lighter/stiffer and more comfortable. We are preparing a complete article about this very special frame, and all the details coming with it. 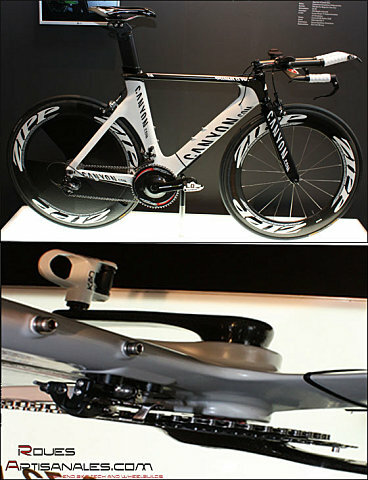 Beside this road frame, Canyon worked on the newest aero frame which is said to a step faster than the previous version. We forgot those beauties yesterday. Tune has got lighter than ever quick releases. 19g the set. 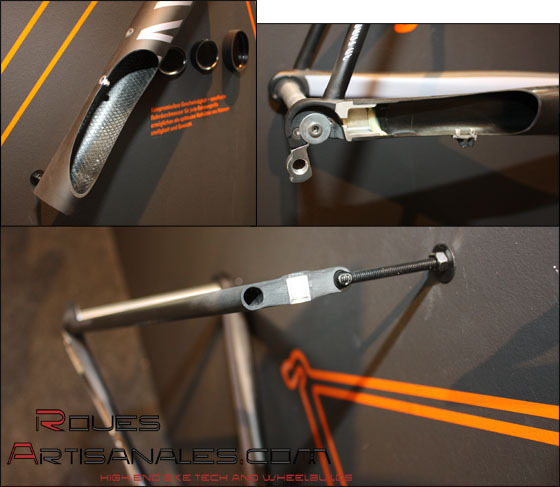 They feature a carbon axle, carbon levers, and bonded aluminium threads.